A new prison has been on the cards for north Wales for quite some time. Prisoners from Welsh speaking areas are incarcerated in England where the language and culture is different, families have to spend large sums of money and travel for hours to visit loved ones in prison. Why then as someone who has and has had relatives and freinds incarcerated in English prisons, do I oppose this Mega-Prison being built in north Wales? 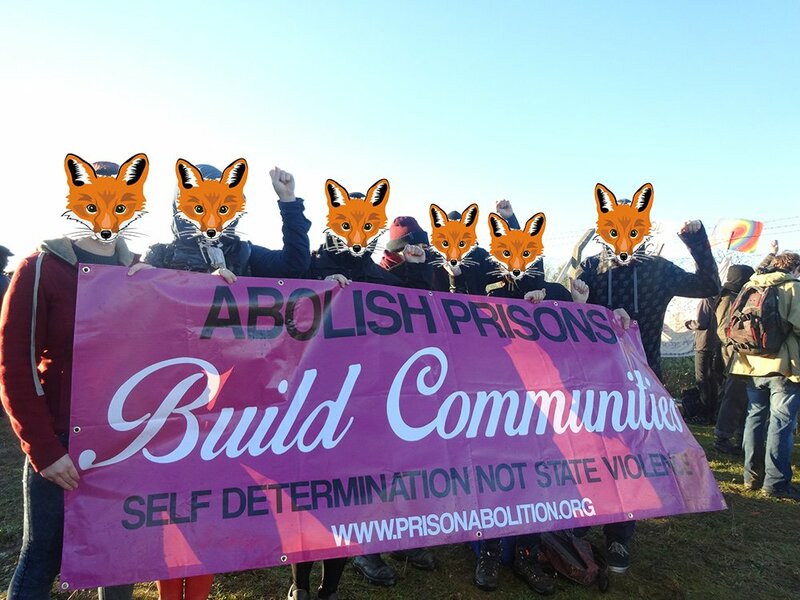 Aside from the issues that plauge mega-prisons in terms of their awful conditions, as a prison abolitionist I don’t belive that prisons solve any social problems or make our communities any safer . The prison propulation is on the rise, between June 1993 and June 2012 the prison population in England and Wales increased by 41,800 prisoners to over 86,000 and the numbers are still rising. Last Thursday there was an event in the Nos Da Hotel in Cardiff to celebrate the life of union organiser and songwriter Joe Hill. The event (organised by IWW Cymru) marked the centenary of his execution by the state of Utah on 19 November 1915 for a murder that he almost certainly did not commit. It is likely that he was framed and executed for his union activism as a member of the Industrial Workers of the World (IWW) and because his songs – such as The Preacher and the Slave, Power in a Union and Rebel Girl were considered such an inspiration to the militant American working class of the day. 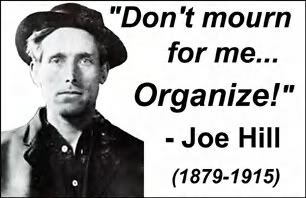 These songs are still sung today within the international labour movement as well as the Ballad of Joe Hill which was written in his honour. 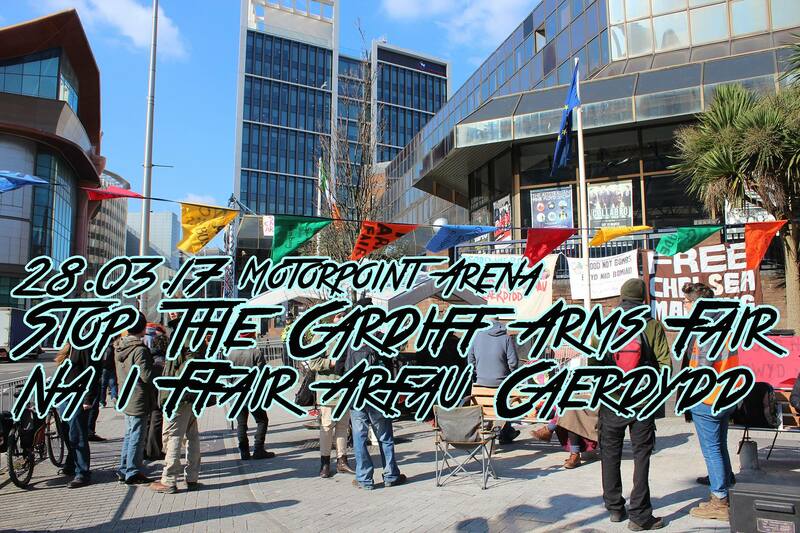 Two anti-militarists are up in court this coming week, having been accused of disrupting last year’s DPRTE arms fair in Cardiff. The pair are due to stand trial on Tuesday 6th January 2015 at Cardiff Magistrates Court and could potentially face custodial sentences. They are accused of damaging the luxury goods of DPRTE arms dealers -including a £400 suit and a £200 pair of designer shoes - with childrens play paint. According to it's website, DPTRE (the Defense Procurement, Research, Technology and Exportability exhibition) is the "UK’s Premier Defense Procurement Event" and is now being hosted annually at Cardiff Motorpoint arena. 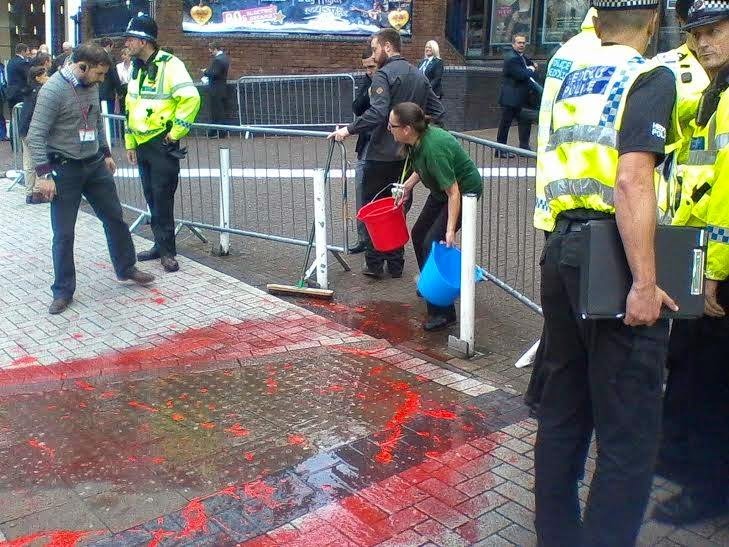 Their first time hosting the arms fair in Cardiff was on the the 8th of October 2014, with exhibitors at DPRTE include BAE Systems, the world’s 3rd largest arms producer with a very special relationship with the UK government & Saudi dictatorship. BAE also supplies Israel with the tools to wage war on the Palestinans and after the horrors seen perpetrated by Israel over the summer, from bombing a UN school to the killing of children playing on a beach, there is no doubt that BAE systems is complicit in these crimes through it's arming of the Israeli state. Cael y system allan o'm system. WELSH COMMUNIST CANDIDATES SAY 'SAVE STEEL - DEFY THE EU' - Welsh Communists are standing 20 candidates and contesting all five regions in the National Assembly elections on May 5. Cardiff Central Greens - Fair is worth fighting for! WHAT THE F.A.Q. IS ANARCHY?